A home is generally easy to maintain. As long as you keep it clean and fix any issues immediately, there’s no reason a home wouldn’t last beyond its intended lifespan. That said, some homes require more maintenance than others. Properties near the ocean, for example, are subject to environmental factors that can potentially accelerate the damage and corrosion that the house endures over time. 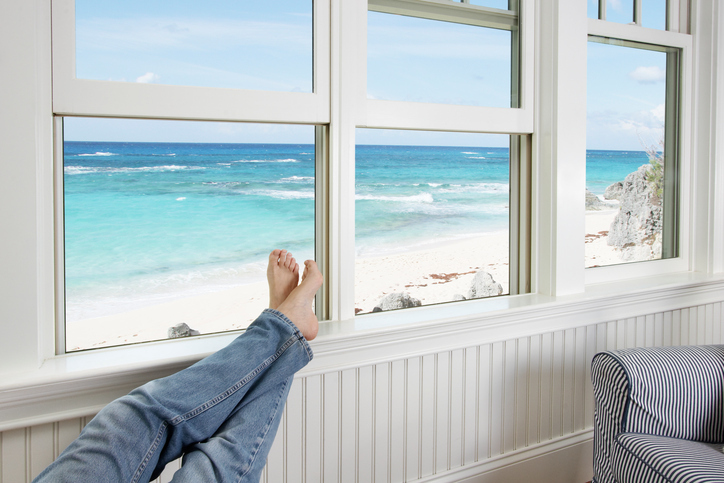 Here are useful tips to help you maintain the value of your oceanfront property. Do your windows have metal frames? Are your rain gutters made of galvanized steel? The combination of sun and salt in the air can turn the metal parts of your home rusty. Apply WD-40 oil or silicone spray on these parts at least once a week. Both products add a protective layer to metal that can prevent or at least delay the onset of rust. To do away with the risk of rust altogether, replace your home’s metal components with those made of copper, aluminum, or other materials that won’t corrode. Humidity is the reality of living on the beach, which makes the home you’re in conducive to the growth of mold. Exposure to mold can cause nasal congestion, coughing, as well as throat, eye, and skin irritation. Mold can grow anywhere, but they especially love dark and damp spaces such as crawlspaces, attics, and basements, so check these places at least once a month. Patch up leaks immediately and make sure air circulates freely inside your home. Coastal environments can be extremely humid. Use dehumidifiers in your home to keep moisture in the air down to manageable levels and rid your house of damp smells. Visual signs of excessive humidity include peeling wallpaper, condensation on windows, and wet stains on ceilings and walls. As is the case with metal, sun and salt can also wreak havoc on paint. Hot UV rays increase the pores in paint, which then increases its susceptibility to salty moisture. Eventually, these conditions will cause paint to peel. As such, when living on a beach, it’s best to use natural finishes such as stone, concrete, glass, copper, and cork. It can be difficult to keep glass doors and windows clear when living on the beach because the salt in the air tends to accumulate on exterior surfaces. Clean your glass doors and windows once a week, or else white stains will cloud them. Hurricanes are always a threat when you live on the coast. Get the right insurance policy before you move into your beachfront property to save yourself from financial ruin in case a hurricane destroys everything you own. Using impact-resistant shutters, fastening down roof structures, keeping gutters and downspouts clear of debris, fortifying doors, and pinning down the home with tie-downs and lateral anchors are some of the ways to mitigate the effects of a hurricane on your home. Install thick panes and shatter-proof glass on your windows to keep them from breaking in the face of high winds. If you have large trees in your property, you can have their branches sawed off at the onset of hurricane season. Stow away patio furniture when not in use. Choose plants that can endure gusty ocean winds. Living near the ocean comes with a lot of benefits – the fresh breezes, the laidback lifestyle, the calming effect of waves rushing the shore. As long as you’re prepared to take on the task of caring for it, a coastal home can be all it’s touted to be. If you’re ready to check what’s available on the Curry Coast, talk to us today. Contact the Coastal Oregon team here. Or call 541-661-3056 for Marie, and 541-661-3301 for Bret. We’ll be glad to answer your questions and help you understand your real estate options in the Southern Oregon Coast.